Time and time again investigative journalism exposes individuals in top leadership roles who suffer from character and personality disorders. These character disorders can play a significant role in distorting an individual’s perceptions of what constitutes right and wrong behavior. 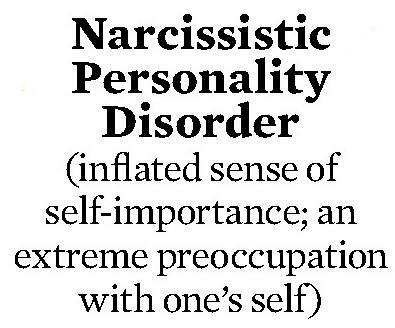 One of the least understood areas of these is known as Narcissistic Personality Disorder (NPD). Individuals diagnosed with this condition display an inflated sense of self-importance, are extremely self-preoccupied, and have a tendency to self-worship. According to family therapist Eleanor Payson (2002), NPD is an all too common affliction among those who wield great power in society. The complete self-absorption of an NPD person results in unethical behavior with a treacherous propensity to devalue those within their sphere of influence, either subtly with condescension, or openly with criticism (Payson, 2002). 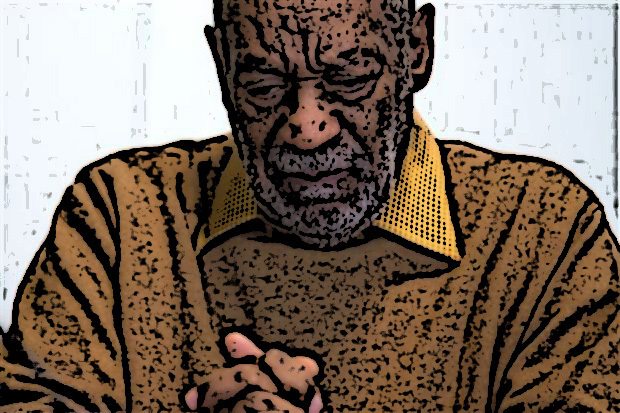 Scandalous behavior from revered public figures, like TV dads Bill Cosby and Stephen Collins, along with other high profile figures like Steve Jobs, Mel Gibson, Lance Armstrong, Alex Rodriguez, and Oscar Pistorius, revealed that, although these individuals have experienced high levels of success, as well as fame and fortune as top level performers in their field, there was a side of their personalities that revealed deeply disturbing behavior. These individuals forced us to acknowledge that there was a side of these heroes that severely lacked emotional intelligence, which was made evident by their unethical choices. Their behavior revealed a side of them that devalued others with their misconduct, which, in turn, once exposed, had a profound effect on their lives, careers, and also changed how the public now views them. As confident self-assured individuals, most charismatic leaders display an inclination towards narcissistic behavior. However, there are healthy and unhealthy levels of narcissism. In his book, Organizational Behavior, Donald Baack (2012) explained that an individual with an NPD persona demonstrates severe limitations in understanding the feelings or the needs of other people (Baack, 2012). In other words, they do not engage in rules of reciprocity and appear to have no concern over the consequences of their choices due to the tunnel vision focus they incorporate as a means to achieve their goals. The ability to distinguish and administer information from perceptions, stimuli, and emotional cues defines a person’s emotional intelligence (EQ). In my ebook, Ethics in the Real World (2014), my research work disclosed that The EQ of a person plays a key role in the development of that individual’s ethical perceptions, in both their personal and business relationships, particularly for those with constant social interaction (Berry, 2013). A person’s cognitive ability, or beliefs and perceptions about any given situation, for example, has the power to influence the way they judge, react, and respond to their environment. It also plays an important role in discerning satisfaction in their lives as well as their career experiences because it is based on what their filters perceive as acceptable or unacceptable ethical behavior. The truth is that every situation is a learning experience which continues to shape each person’s ethical views and conduct. 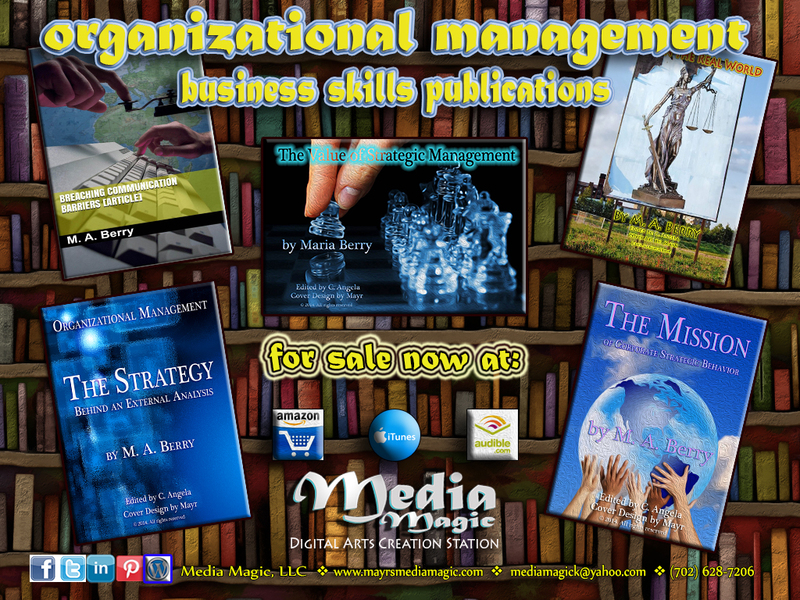 In conclusion, the key to ethical outcomes, is one’s ability to incorporate and apply managerial leadership skills with strategies that are developed mindfully by including empathy and compassion for others in their decision making process. That’s it for this week! Have a great weekend everyone … and stay organized!